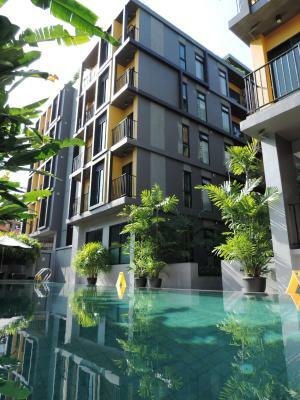 Lock in a great price for iSanook Bangkok – rated 8.7 by recent guests! 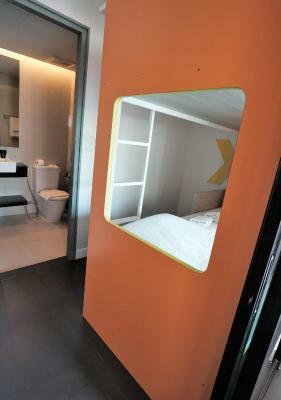 The room was clean and the bed comfortable. The staff was friendly and helpful. Breakfast was very good. 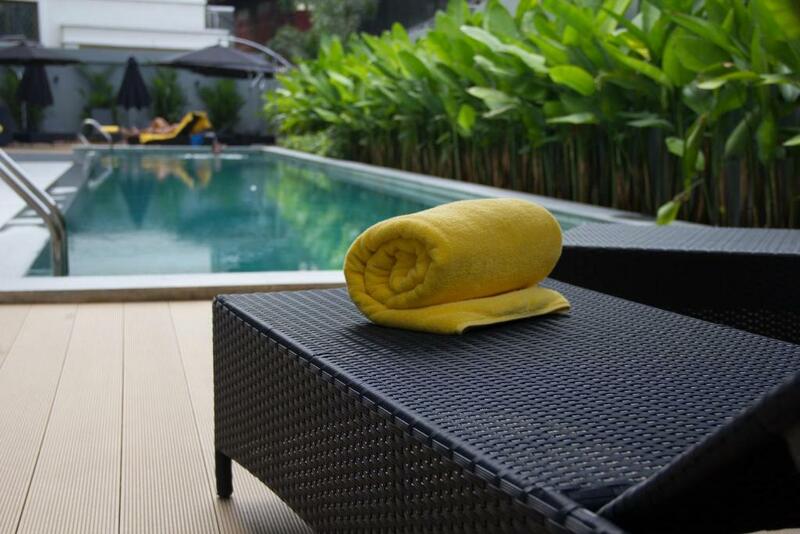 Clean, quiet, nice pool. Staff is great, we switched rooms after 2 nights and I forgot a small item in the first room, the staff found it and returned it to me very quickly. Great room. Very clean. Laundry on site. Complimentary tuk tuk service if needed to major train stations (have to book 1-2 hour ahead though). 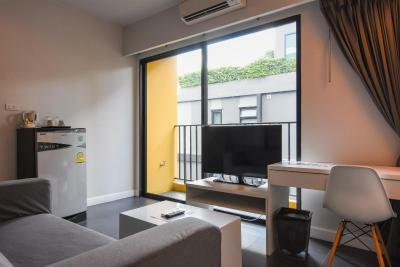 Only a 10 minute walk to major train hub station which gets you to and from airport for cheap. 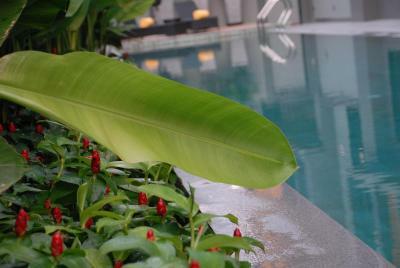 Pool was very nice and has shade. Excellent service from everyone. Free tuk tuk rides to major shopping mall. Very quiet for sleeping even with right in the mid of busy areas. Unexpected free breakfast included. 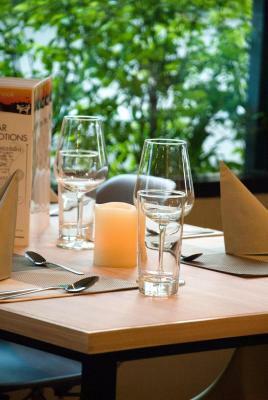 The restaurant was great and had good prices. On site laughter with great prices and the staff was very friendly and helpful. Great staff, very friendly and helpful. Good breakfast. staff was super friendly. Manager knows what he’s doing. rooms are nice and clean. 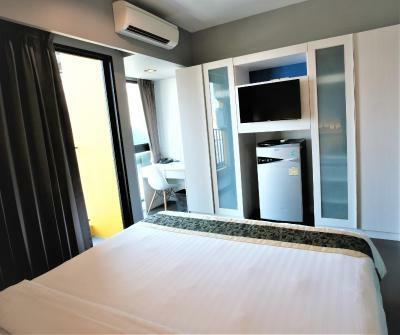 - clean room and wash room/shower - has a homey and cozy feeling - breakfast is good with lots of choices, good coffee too - helpful and nice staff - has free tuktuk service going to pier, Siam square and mbk center. It is hourly though but still good if you scheduled your plans. Getting a grab is quick and cheaper too. 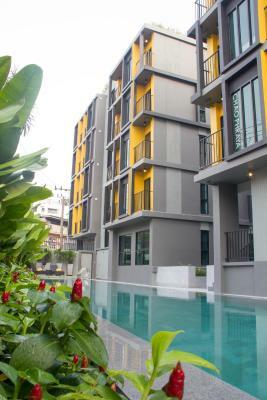 iSanook Bangkok This rating is a reflection of how the property compares to the industry standard when it comes to price, facilities and services available. It's based on a self-evaluation by the property. Use this rating to help choose your stay! 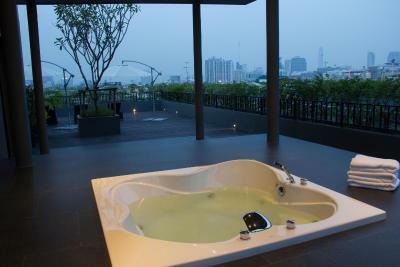 One of our best sellers in Bangkok! 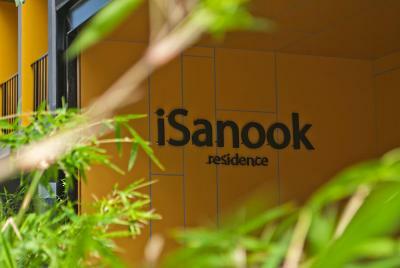 A 10-minute walk from Samyan MRT Station, iSanook offers free Wi-Fi throughout. 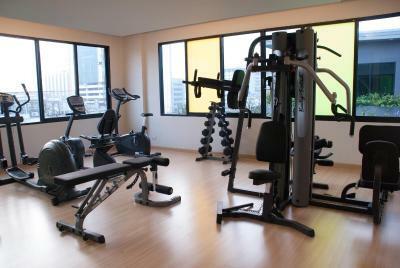 Guests can relax by the pool or stay fit at the fitness center. 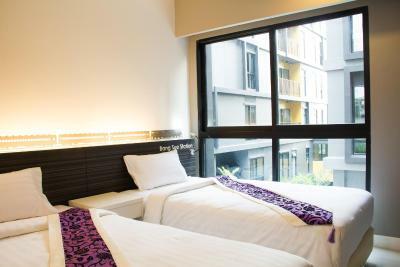 Guests enjoy free shuttle service between 09:00-17:00 hrs from the hotel to Siam Square, Samyan MRT Subway Station and Si Phraya Pier. 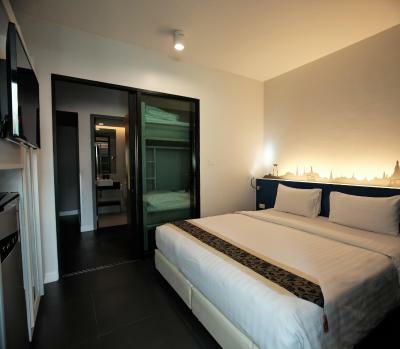 The hotel is a 15-minute drive from Si Praya Pier. 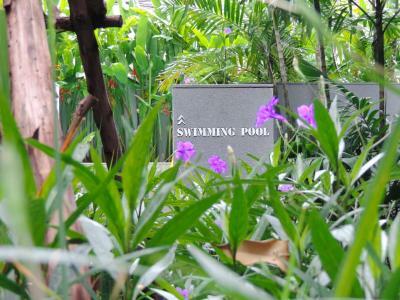 Siam Paragon shopping center is a 20-minute ride away. 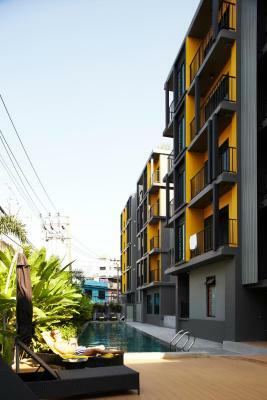 It is 1.2 mi from China Town and 0.9 mi from Patpong. 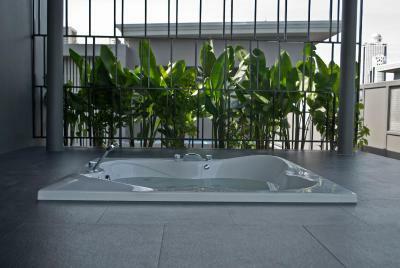 Fitted with a balcony, each air-conditioned room features a flat-screen cable TV, fridge and safe. Free toiletries and hairdryer are included in an private bathroom. 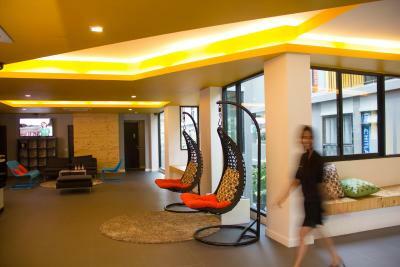 Staff at the 24-hour front desk can attend to guests’ requests. Travel arrangements can be made at the tour desk. Laundry services are available. 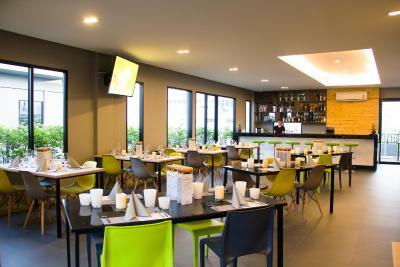 The on-site restaurant serves a variety of Thai and Western cuisine and breakfast is served from 07:00 to 10:30 hrs. 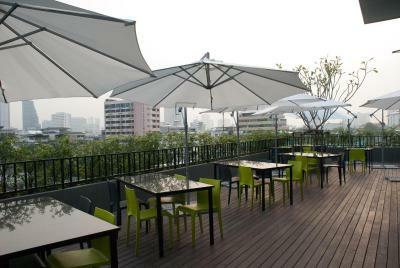 Drinks can be enjoyed at Roof Top Bar. 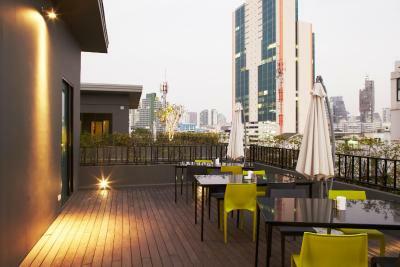 When would you like to stay at iSanook Bangkok? 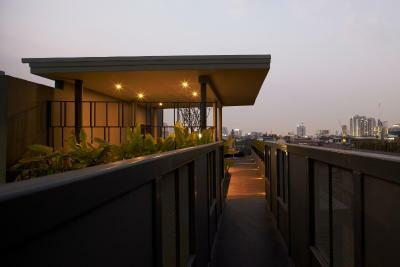 Fitted with a balcony, air-conditioned room features a flat-screen cable TV, fridge and safe. Free toiletries and hairdryer are included in an private bathroom. Please note that this room has 2 single beds which cannot be put together. 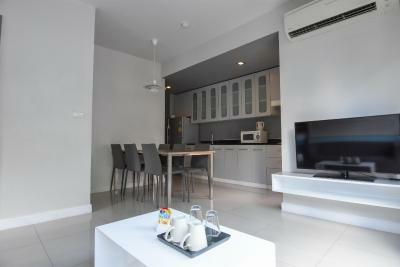 This larger air-conditioned room features a flat-screen cable TV, a fridge and a safe. 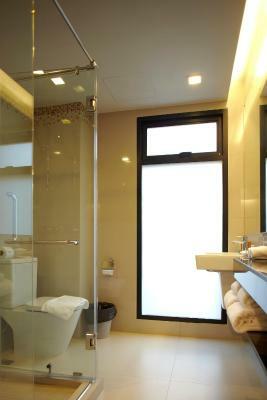 Free toiletries and a hairdryer are included in a private bathroom. It has a sofa bed and a balcony. 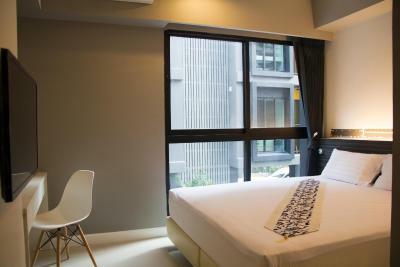 Larger than the Studio, this air-conditioned room features a flat-screen cable TV, a fridge and a safe. 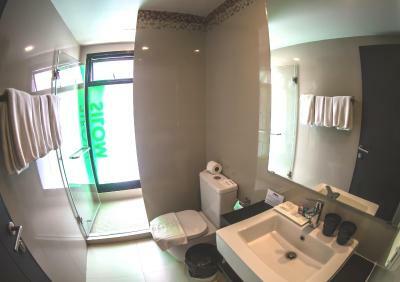 Free toiletries and a hairdryer are included in a private bathroom. It has a balcony, a sofa and a separate living room. 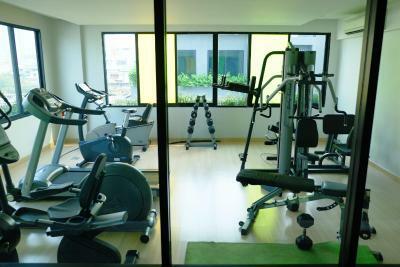 The largest air-conditioned room features a flat-screen cable TV, a fridge and a safe. 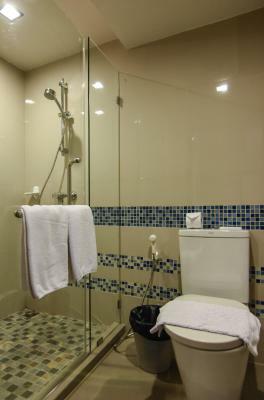 Free toiletries and a hairdryer are included in a private bathroom. 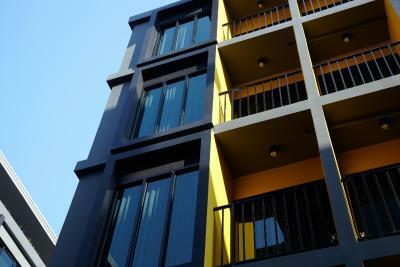 It has a balcony, a living room and a dining area. 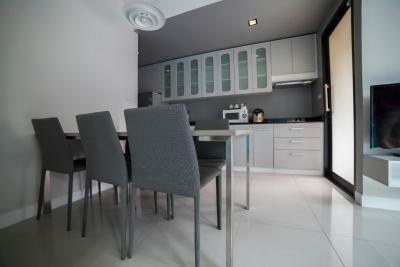 This spacious air-conditioned suite features a separate living room, a kitchen and a balcony. 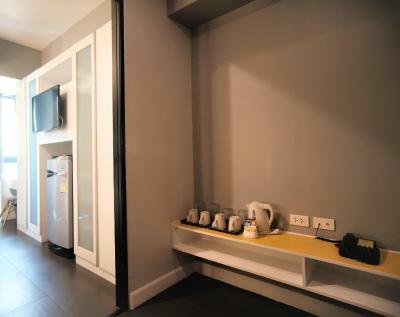 Located on the lower ground floor, this room features a cable TV, air conditioning and an electric kettle. 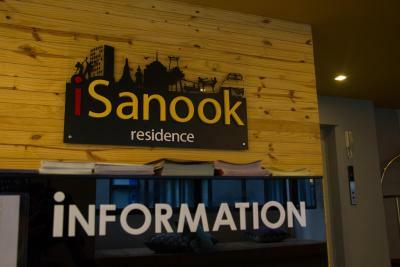 iSanook is a very unique Hotel with 4 connected buildings. 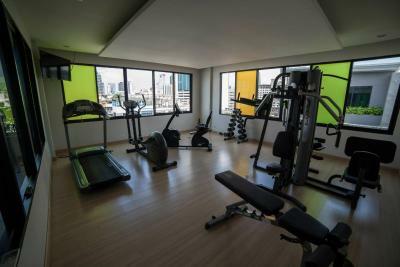 On the rooftop you will find a Jacuzzi to relax and a gym to reload your power for the next day in the city. 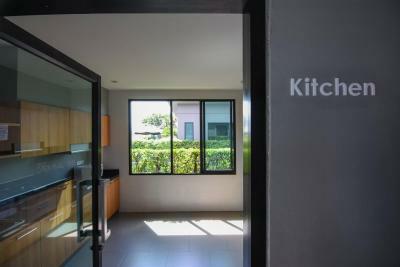 House Rules iSanook Bangkok takes special requests – add in the next step! Debit card Jin iSanook Bangkok accepts these cards and reserves the right to temporarily hold an amount prior to arrival. 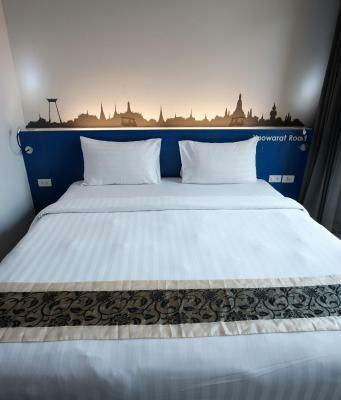 iSanook Bangkok accepts these cards and reserves the right to temporarily hold an amount prior to arrival. Staff at reception. The two girls (day time receptionists) were rather the opposite of what you would think of Thai people. Cleaning service of the room around 5 pm (when in my siesta). According to “these two receptionists” due to lots of check-outs they needed to do first. Water in swimming pool (cloudy and as hot as a hot bath) it did not help in a 38-degree environment (one of the reason I chose this place was the pool). April must be not the best month to come here then lol. The location is good. Near pier to go to temples, walking distance to Chinatown and small local bars around to have a cheap and good meal (specially Yummy Thai Food place. Thank you family there, you deserve lots of clients). Also trains nearby but not a very turistic area. 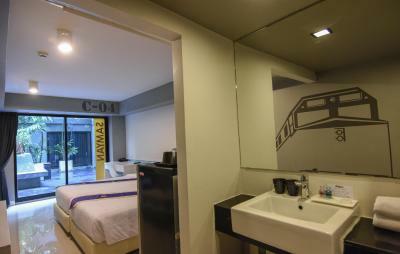 Spacious room (I had a studio), bed was comfy and large fridge to cool your drinks. 2 small bottles of water everyday. Breakfast good and sweet staff at the breakfast place. Specially the guy up there. 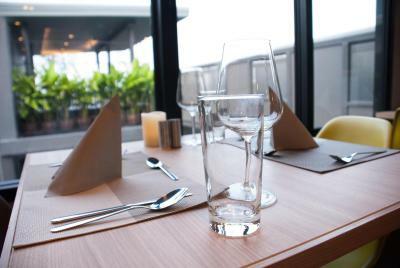 6th floor restaurant with terrace and some views. Pickup service from airport for 600 bahts (I know trains are much cheaper, but dont leave you by hotel’s entrance). There was a gecko in our fridge. Hotel was amazing. Staff was super friendly always smiling and helpful. 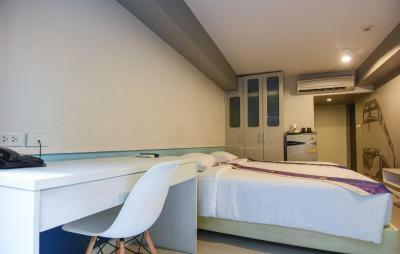 Rooms modern, nice. Kettle for your convenience. There is lundry service too. Free transport for tourists landmark was a nice touch. Was expecting the swimming pool to be bigger but was quite narrow really, Also my kids found the sides of the swimming pool dangerously slippy. Wasn’t amazed with breakfast, could have been better and have more choice in my opinion. Room was modern and comfortable, towels provided for swimming pool and showers, changed daily. Room very clean with a lot of sockets ( mainly EU BUT ONE UK) tea and coffee available in the room plus 4 bottles of water each day in the fridge! 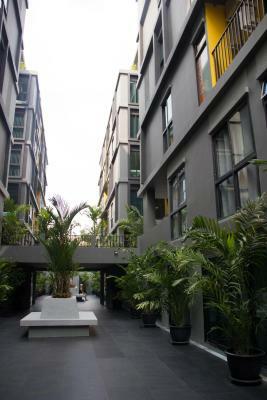 Staff was really friendly and spoke English and French fluently. 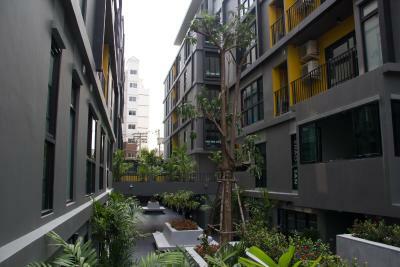 The hotel is part of a complex attached to a hostel so there is a different mix of people as a result. The hotel is set off the road in a warren of alleys so if I had been traveling alone I would not have been comfortable there. There was live music on the rooftop and respectable cocktails at the bar. 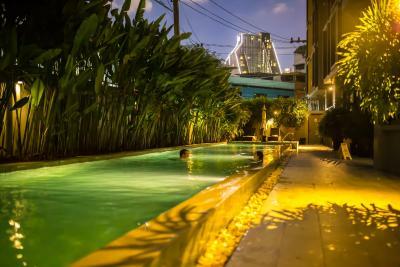 The pool is shared between many buildings so there were enough people around to make it fun. Have patient whit the stuff at the reception. Good location, value for money and silent. Hotel generally quite dark Only one pillow per person no spares The staff didn’t go the extra mile to help. Felt like I was disturbing their conversations and inconveniencing them if I needed help, didn’t offer much information. Didn’t help with bags. Requested early check - in, hotel could not accommodate. 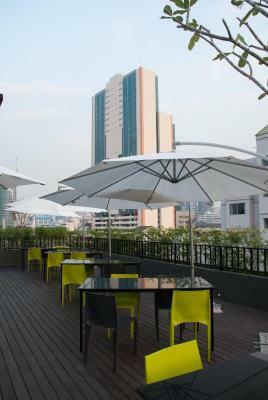 New hotel with good location near Chinatown.Super view from the roof. Good breakfast.